Who knew a few fresh ingredients could go together so well? This is my husband's classic recipe. It's been on special request for nearly every gathering we've been to for some 20 years, and while it can vary in flavor based on the type and ripeness of the tomatoes as well as the amounts of ingredients, it's always gone by the end of the night. Here is where you need to get creative and use the amount of ingredients you like. Increase the onion if you are a big onion fan, or decrease the cilantro and lime if those aren't for you. 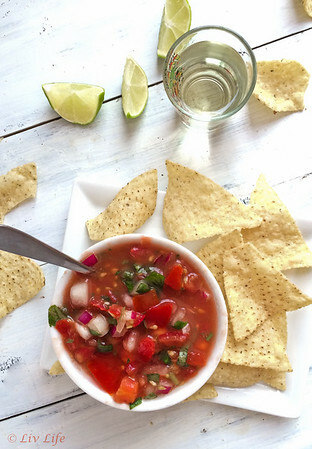 For this recipe I'll list the ingredients and general measurements, however the best way to make salsa is to begin chopping and mixing and then taste and adjust as you go. 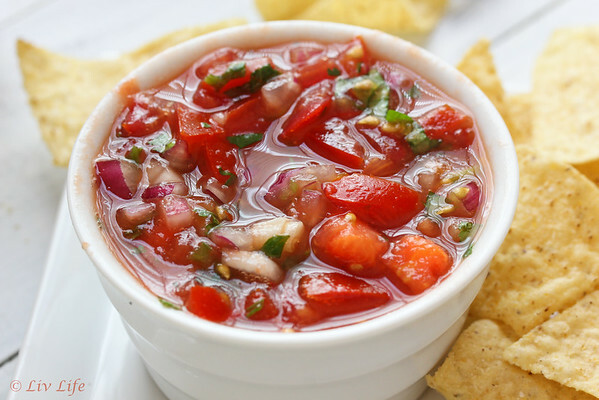 Based on the season, your tomatoes may take on different flavors and as such need adjustment with additional lime, extra onion or garlic, etc. Place all ingredients into a bowl and stir. Allow to sit for a good 5 minutes, then taste and adjust to your preference. Liv Life Note: Remember to taste and adjust as you go along. Liv Life Note 2: For the jalapeño, check for spiciness and add the diced pepper in small amounts. Once my husband didn't check the spiciness of a small pepper and thought "Oh... it's just a little on so I'll toss the whole thing in." 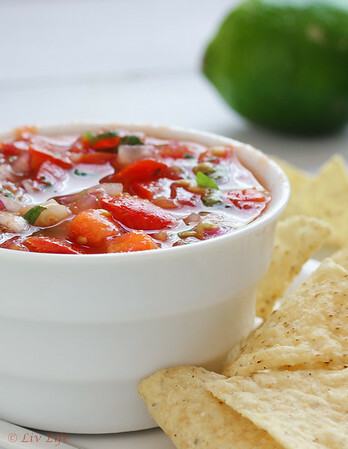 We had salsa so spicy we actually had to throw it away. So go with a light hand and remember you can always add more, but you can't take it out! Thanks Liv!! We are hooked on this one. I cannot wait for fresh produce! 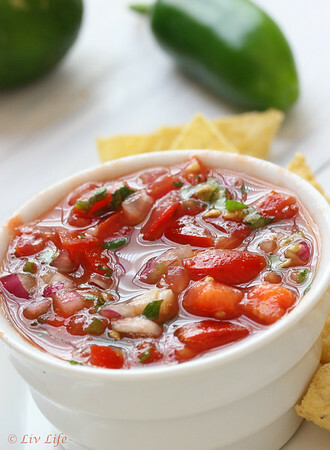 I know Mexican salsa and this, my friend, is it. And it's beautiful to boot!